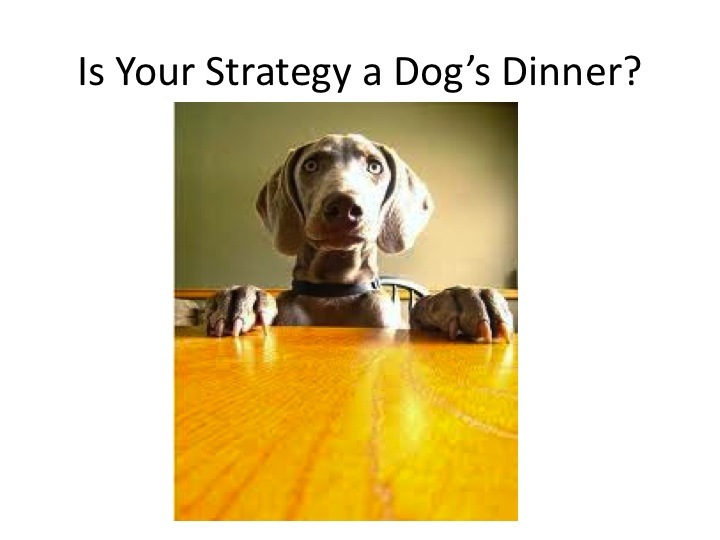 Is Your Strategy a Dog’s Dinner? In his book, Richard makes a strong case that boardrooms are caught up in “wishful thinking” instead of robust strategic thinking. Taking us through interviews with top CEO’s of the largest US Corporations and companies, Richard paints a picture of a lack of rigorous thinking and clarity. A good strategy is a coherent mix of policy and action designed to surmount a difficult, usually high-stakes challenge. All good strategy starts with a diagnosis of the issues that the organisation faces. It is here where clarity of thought is required and discussions should be open, factual and agreed. Diagnosis then leads onto developing a guiding policy, so that it is clear to everyone what is required of them regarding fundamental issues such as pricing policy of different brands. Finally, but not least, there will be coherent actions that lead us towards set targets that the strategy points the way towards. Goals are great and everyone should have them! However, goals in themselves don’t give us any clue about how to achieve them. Many of today’s businesses set goals thinking that they are being strategic, however they don’t address the real issues constraining success. This says a lot about nothing at all. Where a scattergun approach has been used to describe the aspirations of the board and statements are littered with all types of results required for success. Good strategy gets to the heart of the challenge that the organisation faces. The book goes onto to describe how Apple turned things around from being two months from collapse, for example. A great book in my opinion. Go and buy it! If you would like a no obligation discussion regarding the development of your business, feel free to contact me on the details below. This entry was posted in Change Management, Communication, Customer Service, Leadership, Performance Management and tagged Change Management, motivation, Performance, Results, Strategy. Bookmark the permalink.